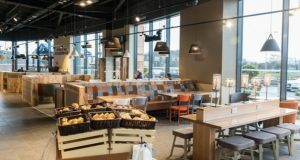 Flannigan’s Centra and Emo forecourt is now resident on the site of a family business that has been serving the Castlebridge community for over 80 years. Just a short drive north of Wexford town proper, the Flannigan’s first opened a business there in 1937, with its initial fuel pump installed in 1968. Louis Flannigan took over the site in 1993, and by 2005 six proud pumps stood outside a modern 6,000 sq ft store supermarket. Louis’ programme of modernisation turned another page last September when he took the decision to join the Emo brand. After taking the plunge, Louis explained that he couldn’t be happier with the results. “One of the first things I noticed is that their office was very friendly,” he said. “We’ve only been with them since September, but the difference is huge. According to Louis, partnerships are often like relationships, and so far his Castlebridge forecourt’s pairing with the Emo brand is a match made in heaven. “I’m very happy with them,” he said. “Many of my customers come here primarily for the Emo brand. It’s got a good vibe, and has injected a lot of positivity into the store and the business. 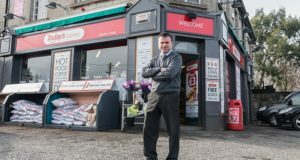 The site’s large Centra convenience store is popular with locals and commuters alike, and has reaped the rewards of the new forecourt fascia. “Sales at the store since I joined Emo are up 40%, and that’s a huge uplift,” he said, explaining that the range of facilities available makes this a high volume site. Alongside the Centra store is a valeting garage and car wash, while inside features a fresh butchery counter, a coffee dock, a sit down area, full off-licence, and a cold deli counter. “We revamped the shop last year, but what we do here is different from the usual high-price convenience,” Louis said. Louis’ plans for the site show no signs of slowing, with further developments expected in 2017. One of the other attractive aspects of the site is its key location on the N11 (or R741) from Wexford to Dublin. Castlebridge is a small, former industrial village, complete with sleepy water wheels and antique dealers. But it’s in a perfect position to attract commuters between both of Ireland’s biggest south easterly conurbations to drive Louis’ swelling business, while the village itself is growing in size. As the third generation of the Flannigan family to run the business, Louis has a considerable sense of pride in upholding the reputation of the forecourt that was first opened as a baking shop by his grandmother. His father had taken on the store from 1956, before Louis took the reins in the early 90s. But it was retail skills learned outside the family business that widened Louis’ vision for the store. Now Louis is putting all that experience, and the knowledge he has gained from his family-run firm, to good use. And while things are looking up for the site, Louis is also feeling positive about the market, and is looking forward to strengthening his proposition throughout 2017. 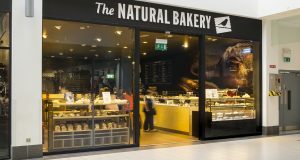 “There’s been a huge uplift in customer sentiment, especially towards local shops and local products, which is key,” he said.